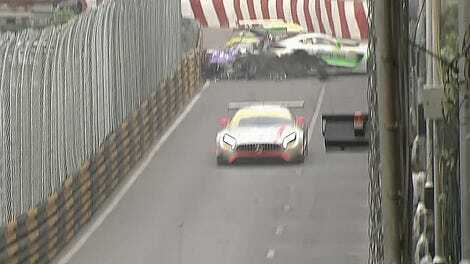 Formula 3 driver Sophia Floersch went flying through a track fence and into a photographer stand during a horrific crash at the Macau Grand Prix on Sunday, at a street circuit known for being fast, tight and downright scary. She went into spinal surgery Monday, coming out seven hours later in stable condition. 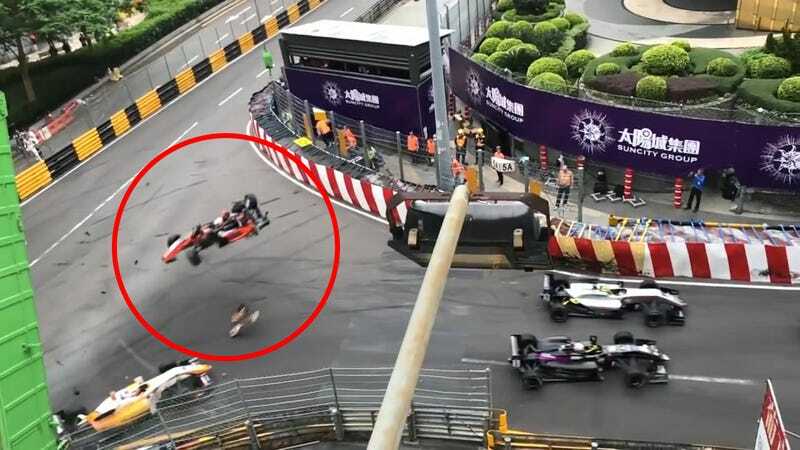 Floersch, front wheels dangling from her car, went flying through the air and into the photographer stand at an alarming speed, with the crash injuring herself, Tsuboi, two photographers and a race marshal, according to Autosport. Floersch went to the hospital with a spinal fracture, with a post on her Twitter account before the surgery saying she was “fine” otherwise—an overstatement showing just how tough people who go out and drive race on tracks like these have to be. Motorsport.com reported Monday that the spinal surgery took seven hours, with doctors saying her vital signs were stable and limbs were active in a press conference afterward. She’ll stay in the hospital for up to two weeks, Motorsport.com reports. A post on Floersch’s Twitter account during the surgery, translated from German, said the operation went so slowly because of precaution around the spinal area. Two of the four other hospitalized people have been released, Motorsport.com reports: the hospital discharged Tsuboi on Sunday night, and photographer Hiroyuki Minami was also released. Photographer Chan Weng Wang is expected to stay in the hospital for 10 more days with a lacerated liver, Motorsport.com reports, and race marshal Chan Cha, who had cuts and a broken jaw, should be out in three to four days. Update, Monday, Nov. 26, 2018 at 8:46 a.m. ET: Motorsport.com reports that Floersch is flying home, eight days after the crash.